Turok Dinosaur Hunter returns better then ever he is once again the king of the jungle. Die hard and long term fan version. 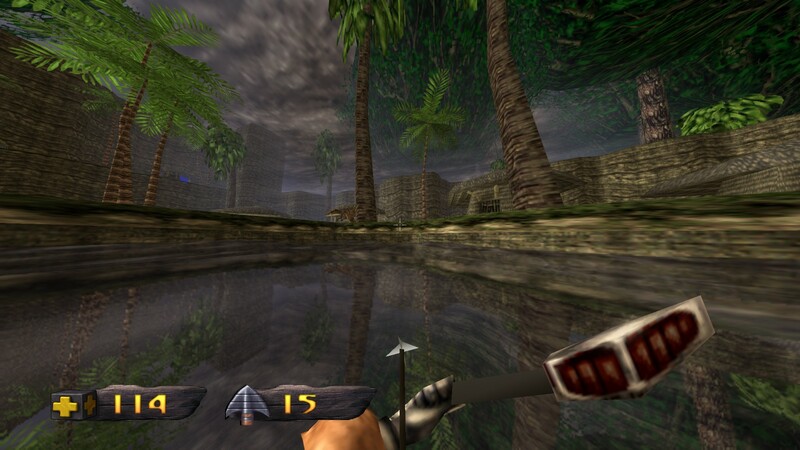 Get ready to rumble in the jungles of the lost lands like never before with this Turok. This remaster is essentially the same game from 1997 that we know and love except improved with enhanced mechanics, settings, graphics, and performance especially. They took all of the stuff in Turok that wasn’t so great and made it gold. 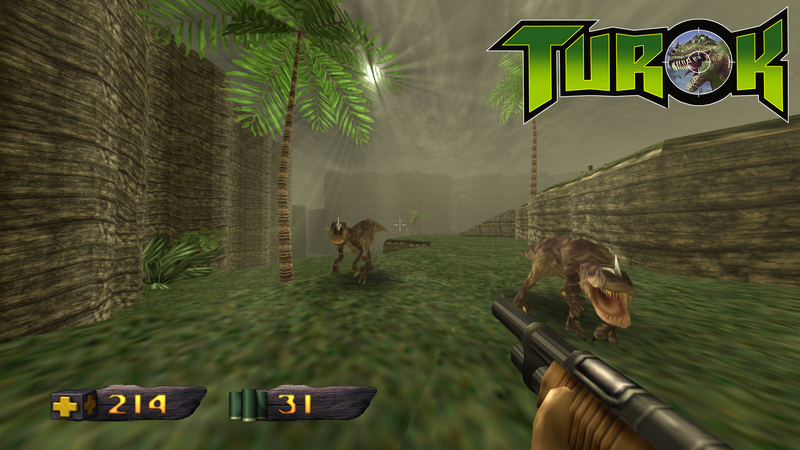 Now with Turok EX you can run the game at a steady 60 fps setting while also increasing the fov up to 120! These two settings together make for a great experience alone. Increasing the fov makes you able to see more, now combine that with the “Extended draw distance” option and it almost renders the fog limits into oblivion. This simply just makes the game much better and i’m astonished in its results. There is also quite a few additional options in the settings that can prove fun to poke with. For example a new weapon bobbing feature, water reflection, and sunlight scatter. The most intruiging one is the sun scatter which makes the game render sun rays and they shine beutifully through the tree branches and levels. This combined with the water reflection causes for some really nice scenery. The Good: The game really has been opened it has many new features and the performance has been upped more then 10 times the original. The Bad: As a long term fan there really isn’t anything bad and as a mapper/modder in progress Turok is only looking up.